This adult and the nymphs at right were observed together at Wundanyi, Taita Hills, Kenya, Africa. May 2017. These brightly colored grasshoppers were easily observed as they basked quietly in the sun during on and off light rain showers. 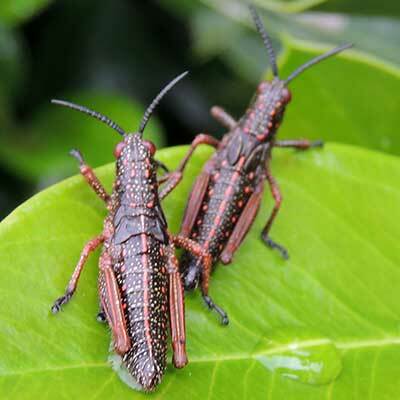 Gregarious behavior of these insects is related to the fact that their bodies are laced with toxic compounds that would be very noxious if not lethal to an insectivore. 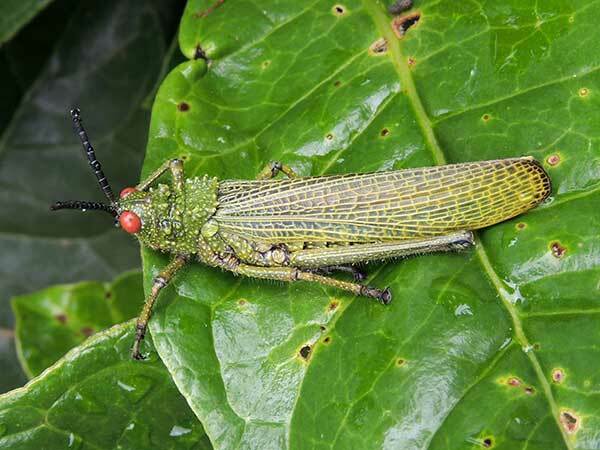 Bright colors are another indication that this grasshopper is heavily defended. Copyright Michael J. Plagens, page created 18 Sept. 2017.